The traditional honorable merchant is a very specific type of entrepreneur: Responsible to business partners, customers and employees, friendly, modest, liberal-oriented and cosmopolitan. He stands by his word, the handshake applies. Moreover, he is a role model in business activities, thinking long term and acting sustainably. Honesty and cosmopolitanism are the basis of economic prosperity in Germany. 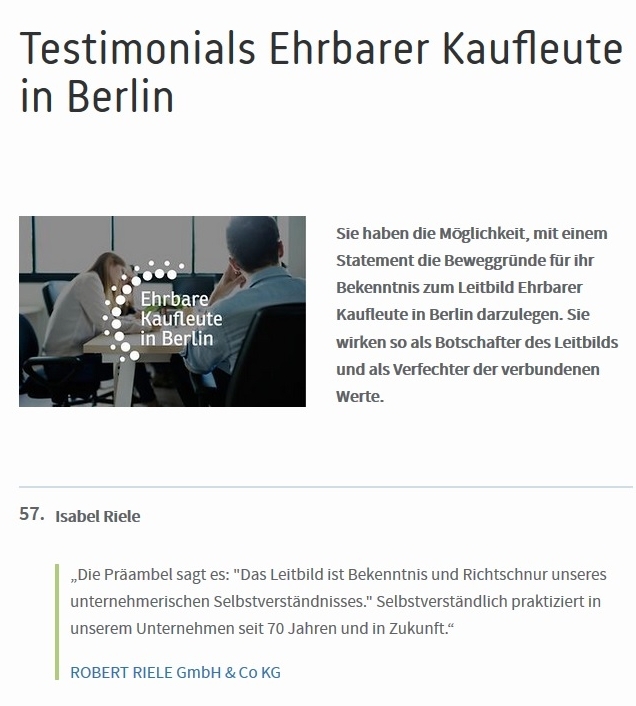 Isabel Riele is now registered as an ambassador of Berlins honorable merchants.